Nopa on a weeknight. 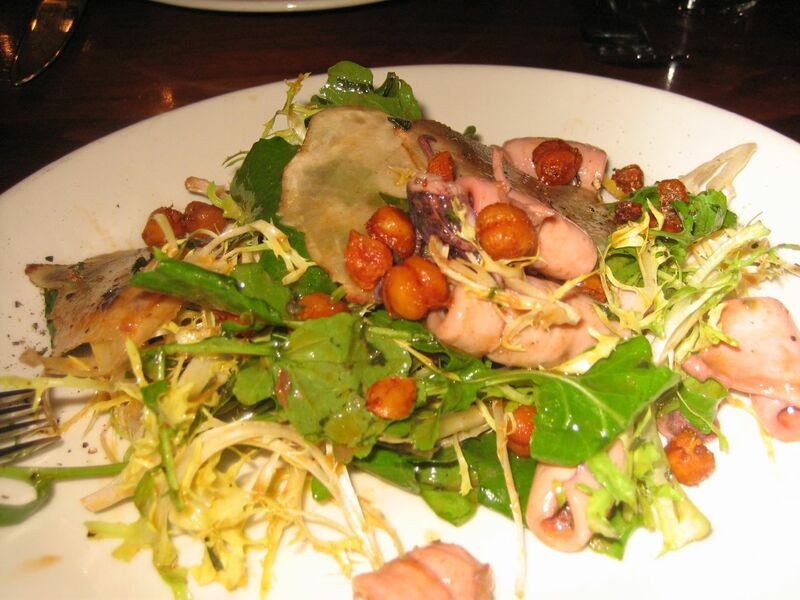 Marinated squid salad, perfectly cooked tender squid with a slight bitterness that matched well with the sweetish vinaigrette and spiced chickpeas. The little gem lettuces had a beautiful creamy dressing and showed off very fresh produce as were the wood over roasted spears of asparagus. 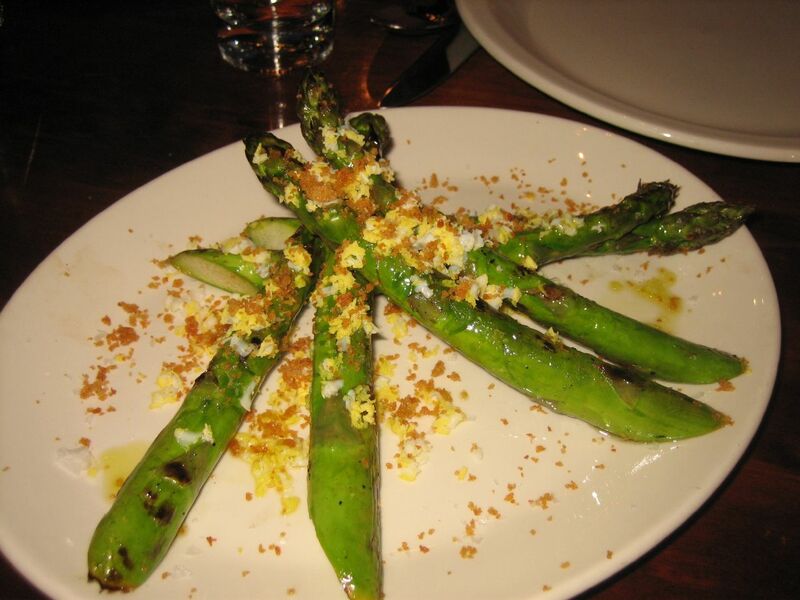 The asparagus had a very woody smokey flavor with a sprinkle of creamy egg and crunchy breadcrumb. The other standouts for me were the flatbread and the giant white beans. 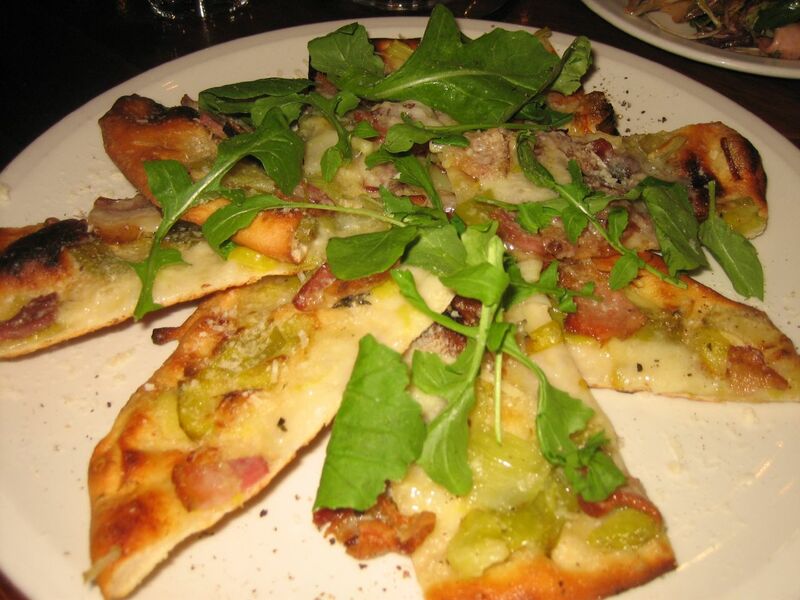 The flatbread was crispy, soft and chewy with roasted pepper, arugula and the right amount of charred cheese, so that we could taste every note. The giant white beans were hearty and presented with a breadcrumb topping almost like a home style Italian restaurant . The tomato-oregano based sauce was typical and worked well with the creamy cannellini beans and feta. 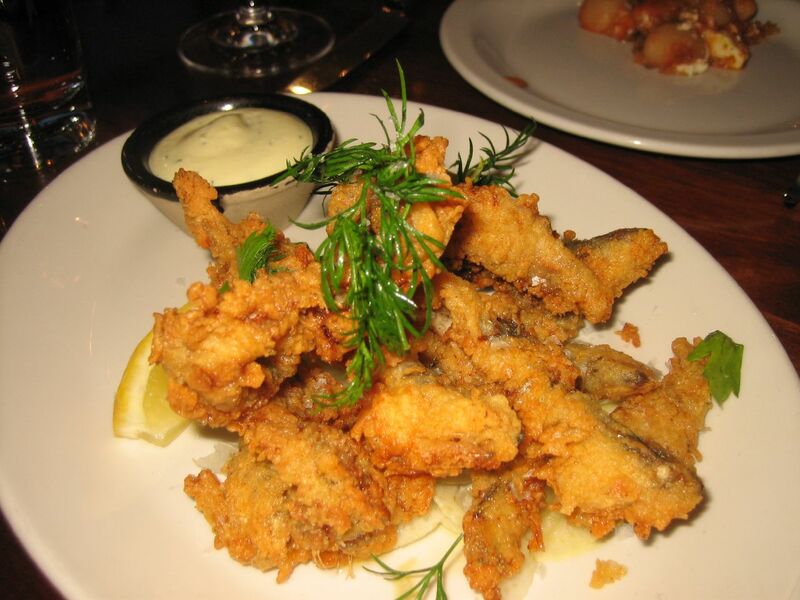 Because I love the fried smelts at Kokkari, we ordered the fried little fish. They used anchovies which were about one and a half inches and had a crisp dense batter. The fish had a mildly flavor and could've used some salt. For the main course we shared a braised lamb shank which was decent though nothing outstanding. The lamb was tender and fell apart with the poke of a fork and highlighted the lamb meat rather than the taste of the braising liquid. The lamb was fresh and had no gamey flavor. Here the braising sauce went well as an accompaniment to the bed of fregula under the shank. Desserts were the pecan tart with salted caramel ice cream and the yogurt sorbet. The pecan tart was fine though the salted caramel ice cream was not very good. Perhaps we've been spoiled by Bi-Rite, but the ice cream didn't have a very sweet caramel flavor and the salt sprinkled on top were too coarse and gave us a huge punch of salt on the first bite then no salt after that. Our favorite was the yogurt sorbet which was sweet creamy and enough to balance the tart citrus tangerine and the pine nut cookie. Nopa has a great atmosphere -- it's busy though not overly noisy and has a casual feel. The open layout with the kitchen in main dining room adds to the welcoming vibe and is fun to watch. On my next visit, I'll likely try the pork chop and would order any of the starters again.